The photos and recipe for these chocolate dipped orange cookie crinkles have been updated as of January 2nd, 2017! I am kind of cheating today! This recipe is based off my Orange Cookie Crinkles, which I posted last week. As this recipe has worked many times for me, both with orange and lemon flavours, I knew I would be using it again. Now, this time around I didn’t change it at all. I may have added more orange zest, but that is about it. They were perfect as is. But I wanted to spruce things up and immediately my mind went to the pairing of chocolate and orange. Easy, delicious, and a show-stopper! 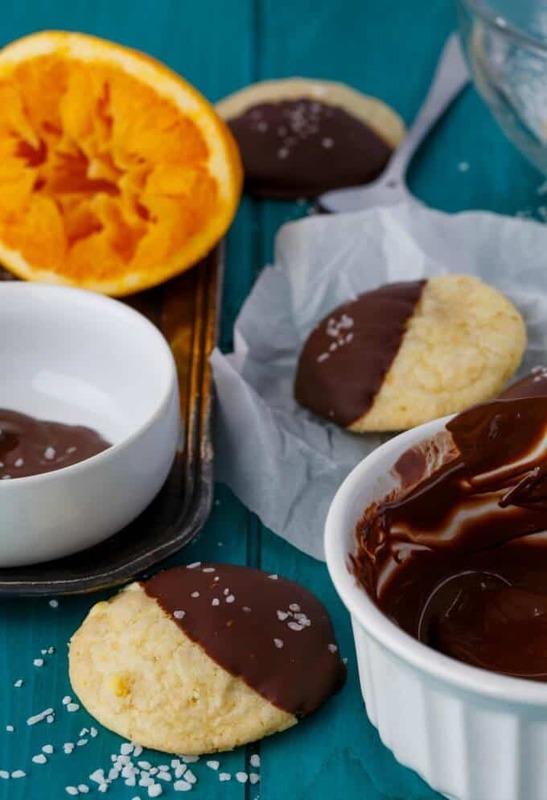 All you have to do is make a batch of these wonderful orange cookie crinkles and dip them into melted chocolate. You can throw in some coconut oil into the chocolate to make a silkier texture, but just plain chocolate will work too. UPDATE: I love using coconut oil in my chocolate, but you will want to store these cookies between wax paper layers so the chocolate does not melt/stick to the other cookies. Refrigeration is key! 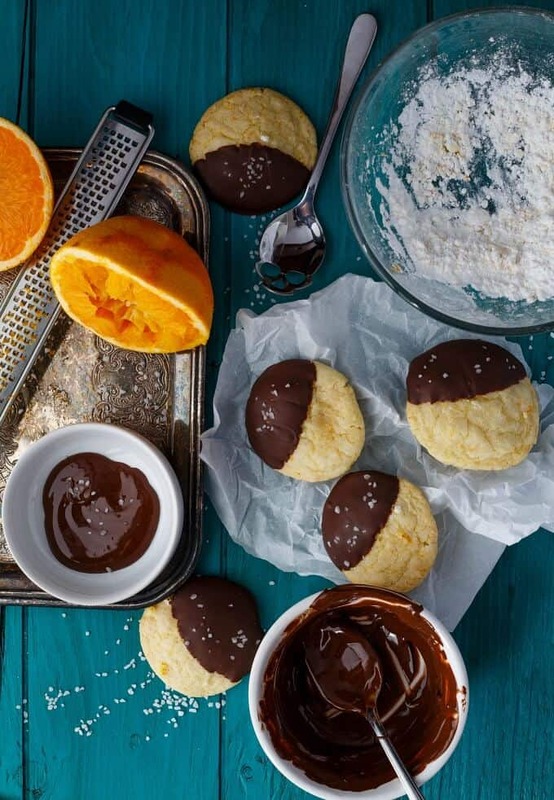 If you feel like going a step further like I did, once you dip half the cookie into the chocolate and place it onto parchment paper, take some coarse salt or sea salt, and sprinkle some onto the wet chocolate. This way, when the chocolate firms up, you get a wonderful taste of orange, chocolate, and this bite of salt. It works so wonderfully together, trust me! But if you don’t want that extra salt, feel free to leave it out. 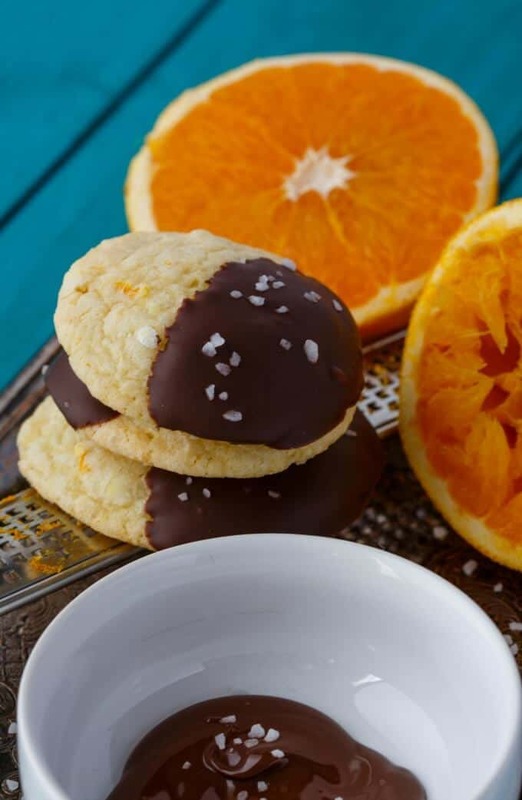 A twist on the usual orange cookie crinkles resulting in a half-dipped chocolate cookie that will blow you away! Preheat oven to 350F. Line baking sheet with parchment paper or silicone mat. Add the vanilla extract, egg, and orange juice. Mix until combined. Sift together the flour, baking soda, baking powder, and salt. Add to the mixer 1/2 cup at a time, mixing until just combined. Measure out 1 tablespoon-sized balls and roll into balls. Shake the confectioners sugar onto a plate and mix in the remaining orange zest. Roll the balls into it, coating evenly. Place onto baking sheet and bake for 8-10 minutes. Cool for about 5 minutes on pan and then finish cooling on wire racks. Combine chocolate and coconut oil. Microwave until smooth. Once fully cooled, take each cookie and dip them halfway into the melted chocolate. Move the cookies to a clean piece of parchment paper and continue until no cookies remain. If desired, sprinkle each chocolate half with salt. 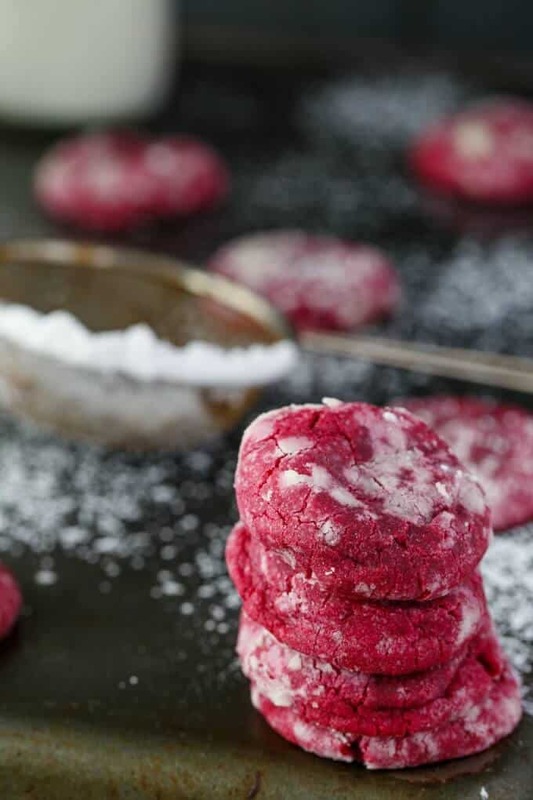 Allow cookies to sit at room temperature until the chocolate firms up, or move to refrigerator for faster results. Store between wax paper sheets in the refrigerator. The dough is really sticky. I use a cookie scoop and immediately dump the dough into the confectioners' sugar. No more stickiness that way! 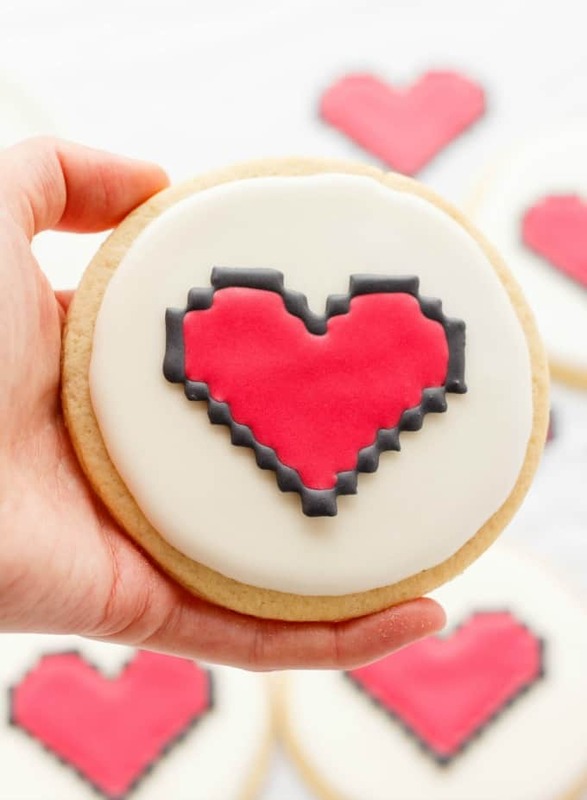 these cookies look seriously delicious.. definitely craving a bite of one right now!